So... how about those judges' comments, or anything to shed light on why this did not get the recognition I expected it to get? Is it just me or are there no judges' comments to be found here? I also expected my vote to be among several, not among just 2! So glad you got around to trying my game! Kyllä olen puoleksi suomalainen ja asun Suomessa, ja huomasin forum-sivusta, että olet sinäkin suomalainen! Since this is supposed to be for children, I felt other attacks would detract from the intended simplicity ("intended" being the operative word here considering it is still not as simple as I would like), though side-quest-accessible weapons enable new atttacks (not stopming with boots, however). For this reason, I also wanted the handcuff and cover attacks to correspond to Lorent and Mette's default attacks, what the basic water attack is to Juho, Kaj, and Minerva (and Pavel if we care to count him), but this would have required script editing which I am not enable to do, yet. I cannot claim to know the repercutions of hosing down a person with a fire hose, since it might admittedly not be as benign as hosing down your sibling with a garden hose. I have, however, cleaned a driveway ledge with a pressure washer, and I accidently incurred a minor flesh wound from it. The image I had in mind for hosing down criminals was simply causing them to slip and fall. Yesterday I watched a video about the colour-coding behind fire hydrants, which are differentiated on the basis of their GPM (gallons per minute) and PSI (pressure in pounds per square-inch). Perhaps the risk of causing bodily harm that warrants a lawsuit can be contingent on the last water source accessed? Perhaps facts about water supply can be imparted by another version of this game; while facts about fire are disseminated by our "fire red" version (like in Pokémon), facts about water possibly can be imparted by our "H2O blue" version? The title card left me without any expectations to begin with, so I am glad to say that these expectations (or lack thereof) were well exceeded! There is so much I could say about the potential behind the unique summon system you have in place. Seeing as they are based on historical and mythological figures, I think one would have a right to expect something in the way of bios for all of them, bios that improve with their experience and level gains, to reflect the self-realisation mentioned in the story (library, was it?). I found myself guessing whom we might be seeing! I personally thought of Rasputin and of the Kalevala epic that surely has some connection to Norse mythology being from the far North. To ensure the utility of new party members (because there is no way anyone would dare raise several greenhorns and counting), one will need to have new members start at higher levels somehow. Perhaps this could depend on the levels of older members that have some historical connection to provide history lessons! Perhaps they could depend on books that you read in-game! The story is interesting, and Brooke and Hilda's interaction made me smile: "You are not a nice person." "Neither are you. It must run in the family." Upon learning to "pull", I purposely elected to attack my summon to see if Hilda chastises Brooke, so I was a bit disappointed to not see any smart reaction from Hilda. That dialogue where Amber tempts Penelope could be better done to lift it out of cliché territory. I loved the Greek guy and the French guy conversing in the café! I appreciated the music choices just for being unexpected. Anyone who does not like it should know how to turn down the volume rather than complain about it being too loud. What worries me is that the judges should priniciply take an hour to play at maximum, and that the difficulty spike after gaining access to the cemetary posed something of a bottleneck for me. What happened to all the easy prey, even in the forest? I spent more than an hour on this since I had the liberty of indulging my interest in this entry. I, too, find it surprisingly tedious to set a suitable difficulty curve, so I can empathise. Soulcrafting as a means of not only harvesting souls from fragments, but also of enhancing older summons with fragments pulled from enemies. I discovered accidently that pulling multiples of the same fragment was beneficial for this reason. Penelope the tutor mentioned in passing something about switching combatants in battle, and Brooke refused her explanation. Is there or isn't there a way of doing this? I could not find how this is done, accidentally or otherwise. I am sure you are aware of some strange mapping aspects, so it might not do much good to elaborate here. Sometimes (I noticed this twice out of the several times I loaded from the title screen) when I load a save file, something goes horribly wrong with the targetting of certain commands. For example, Ptolemy (in my party, NOT the zombie astronomer) once silenced my whole party in one turn (which made the battle hopeless and necessitated a reload). D'Artagnan started attacking himself and setting himself on fire. Brooke tried using pull on herself and all three of her figures. I don't know if you are aware of this or not. Though this is clearly far from finished, this is worth my vote! I had high expectations of this one for some reason. Was it maybe the artwork (which is quite nice, by the way)? Aside from the artwork, there was nothing innovative in the way of game mechanics, and I did not have any laugh-aloud moments personally (though people tend to agree more on what is sad than on what is funny, I find). Where there was ambition there was success, so it would have been nice if you brought that ambition into other areas. I might have gotten discouraged by my initial attempts to implement switch-dependent Autoruns, though I cannot at the moment say why. Autoruns are implemented in this game, running automatically upon entering an area. Actually, now that I think of it, there were two of them on day 3, which were the robber upon retrieving the constable's letter and the girl hiding from the fire. I will have to look into that again to see if some of the wisdom I have acquired since then will kick in. I will also have to look into stepping animations, though I currently do not know what those are. I forgot to mention that it is possible to circumvent the first fire in the warehouse if you evacuate Jani by talking to him again. He faces a different direction after you talk to him the first time, which was my hint that it may be worth talking to him again. Evacuating residents proves beneficial in a side quest or two. You mentioned in passing street addresses. I am not sure if you were serious about that or not, but I think I could polish it by giving street addresses to houses, if very basic ones. I did not think to initiate a devlog for this, but maybe I should, with so many things to improve in a project with such potential! Thank you for your extremely detailed review! 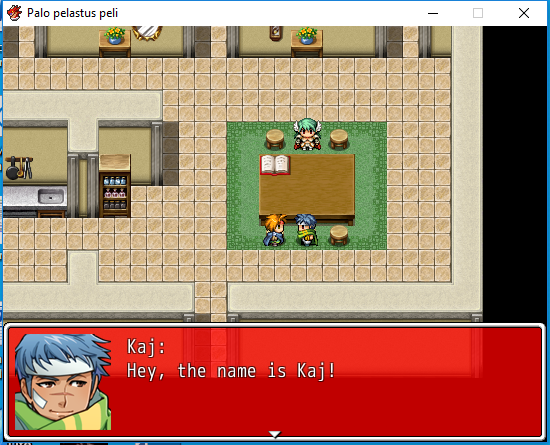 Easy mode just adds Juha as an extra party member. I tried to hint that Minerva is the mayor's daughter (both by the two-letter differences in names and by phrases they have in common), which would have been clear by day 5 when she joins your party. You did understand that by eating ice cream for dinner every night you forwent any stat increases as indicated in the menu on the table next to Minerva, right? That might have left you eating dust by the time the difficulty spiked. Healthy eating is also a moral in this game! By forgoing the tour (which I should have made more clear), you probably missed the well next to the station as the source of water with which to refill. There should also have been in-battle refills available in the warehouse (she is Kaj's sister as indicated in the tour you missed) for sale, if you had money. I found it surprisingly difficult for my part to micromanage the difficulty curve. That definitely still needs work. Kaj's invocation at the corn warehouse simply turns random encounters on and off, and there is no point to having them off until day 6 when an item necessary for progression becomes available. Spåra's (and Jani's) entrance in person was originally intended as an Autorun event which I could not get to work properly. I would have loved to have cosmetic changes on the house exteriors to highlight the presence of a fire, but I could not figure out how that is done. Cabbage rolls with meat and lingonberry sauce helped me out of depression once! Indeed this is my first project, and I still have much to learn. I have a limited understanding of how Autorun events work. In this game the ones I have incorporated start upon entering an area. I forwent anything else that I wanted to have dependent on a switch since something always seemed to go awry for some reason. If Minerva's dialogue in Finnish were more important, I would have been more likely to remember to translate it. It just said to not go into her room, and that your room is on the left. Someone else also suggested voice acting in place of text, which would have been nice to do. For my godson, though, it would need to be in Finnish. Mouse functionality was also previously suggested as more suitable for young children than keyboard, but my engine as it currently is does not entail mouse support. Overall I liked the consistent tonality in which it dealt with the mundane, as well as the artwork that went with it. Thankfully the comments section indicated those first floor events that I indeed missed initially like many other players, so I replayed to check those out. What is funny is that I actually had just a couple of days ago a similar experience while food shopping (minus the anxiety). When we were left without knowing how to access our "pocket" (the menu), was that intended to induce a feeling of anxiety of not being able to find the keys? I could not figure out how to make our robbers stay in their cells, so unless I figure that out, we could either buy into the conceit that even criminals need their recess until we call it off by running into them like bowling pins, or I could lock the jailhouse so players need not return after solving the puzzle. Yes, you can indeed place fires under arrest for an instant K.O., which is why I had long wanted a way to distinguish between the two types of "death": "Arrest" for criminals and "extinguish" for fires. Unfortunately I could not figure out how to do that. Originally I wanted it such that robbers cannot be put down by firemen alone, but firemen's attacks can help increase the chance of a successful handcuffing (the only means of taking down a robber, which I originally thought would take place in battle). When I made fires immune to "death", however, it was not the "instant death" I initially thought it was; these fires would stay in my test battles even after copious amounts of damage, being impervious to "death", period. For now, let us just settle for the conceit that the constable has magic handcuffs capable of putting down fires! Perhaps I should have made it more clear before the final meal that this would be the point of no return. And perhaps I should have seen if I could have made a more definitive ending than virtually starting day 7 over again with Minerva in tow. Completing a side quest does give Juho and Kaj a new weapon that enables an attack on all enemies for double the cost of a regular attack, but perhaps one's water supply should be made to depend on an equippable water tank rather than on meals. I absolutely agree that combat is exceedingly easy. When I asked what would suit a game for a 4-year-old, some said that it should not demand much more than to press the action button over and over again (For this reason, I wanted Lorent and Mette's default attacks to be based on their own weapons, the handcuffs, fire blanket, and handlamp, but that would have involved script editing which I cannot do on this engine.). What is also good about erring on the side of being too easy is that people are more likely to make it to the end. Out of curiosity, when fighting "Mette on fire", did you put this fire down with your water attacks, or did she successfully get off her "stop, drop, and roll" move in which she instantly K.O. 's herself? I should have made it such that she regenerates HP too quickly to take her down normally, but the reason for her slow regen via "fanning herself" was that I originally had small numbers in mind for the very young audience I had mentioned in the above paragraph. For those who are not good with first-person perspective (like myself), you might want to make a clearer map to help navigate these dungeons. I could not get far at all on account of constantly getting lost, prematurely celebrating upon finding my first door in ages that in fact led to absolutely nowhere. I was intrigued to see a game involving cards among the offerings because I thought it would suggest a novel mechanism. For what other reason, then, must our enemies be some totally-NOT-Yu-Gi-Oh! cards (according to several frames of reference, I would imagine)? Why is Aaelind not in our party? I thought we were Aaelind. If we supposedly volunteer our services to the king, why does he threaten to lock us up in jail should we fail? Um... thanks? I would totally want to work for this obviously benevolent king...? The defaced graphic for cards nearing their end was a nice touch, though I think more subtlety would better suit them. Very beautiful artwork for a generally impactful entry in terms of mood. While this entailed an assortment of puzzles, none of the puzzles were particularly innovative. I furthermore admit to being unsure whether the tone of some bits of dialogue truly lived up to the tone of the game overall. The idea of choice at the end was interesting, but it seemed easy considering in what position the protagonist was to be defiant even if she were faced with lies. What follows feeding the pedestal to our right (the act of defiance) is an example of the point I made about tone in the paragraph above. I was pleased to play this game! That part looks to me the same as it was in the sample map, so perhaps that is the creator's fault? I gave the mayor and his wife dialogue that indicates the corn warehouse as a place worth checking, among other things. The warehouse is conveniently closed on Friday, though, so Saturday is the day to go. The general concensus at a glance seems to be that the end was quite anti-climactic, and indeed I was disappointed at my premature success in escaping, without even confronting or at least hearing from the game master again. I expected the NPCs to include all of our character options minus the one we picked as our playable. Was this the plan originally? The spike puzzle was annoying at first sight, but deceptively interesting when I wrote down notes to solve it. It was also refreshing for me at least to answer riddles, not having thought of them for some time. That fox, goose, and sack of corn one was tricky if only for the fact that I did not quite understand initially that it was supposed to be a sequence of answers in succession, but there may or may not be a better way of presenting it. If you want a more sinister tone (and that may or may not be what you want; I am not entirely sure), the doors' response to the wrong input would need to sound less merciful than "not what I was looking for...", which sounds more like what a sympathetic game show host would say to an unacceptable answer. If you can generate a sufficiently wide field of acceptable answers (are answers case-sensitive? ), you can more or less get away with an emphatic "NO! PREPARE TO MEET YOUR MAKER!" or something. I think my score in Legacy mode was 3175. Since I escaped without accessing the computer, I played again to see what it was, so now I see it was not so important. Indeed for children playing on easy mode and unfamiliar with the RPG Maker, there will need to be something pointing out what to do with the 5th party member (if the easy mode additional character is not outright removed upon acquiring Minerva with the optional Lorent in the party, which I am also considering). The inferior doppelgänger was meant facetiously anyway, but I suppose it would have looked more polished to remove that event once easy mode is enabled. Alternatively, I could have placed this event in the mirror from which easy mode could be enabled, if I had thought of it earlier. I am not sure what you mean by the map design of the firehouse. As far as I remember, I only made slight adjustments to a premade sample map ("desert house" this one was called). Are you referring to the green carpet? If you did not make it to Sunday (day 7, the end of the game), on what day did you leave off? Did you redeem your prize at the black market for completing the prisoner side quest? Did you figure out on your own to pursue this side quest, or did you act off the mayor's hint available on Friday and Saturday (days 5 and 6)? PRISON BREAK! I know. I could not figure out what to do about that for some reason. At least after putting them in their cells the first time, I have it so you can just dash around to bowl them over like bowling pins as a way of saying, "Recess is over! Back to your cells!". Is there anything that could be done about the perspective on those two hills with the flowers that butterflies use to jump? I kept missing the center of it because I would expect each time that I should be a square lower than was actually the case. Between the zombie farm and pirate storylines there was a town where interaction with otherwise seemingly normal humans (were they zombies for some reason?) causes you to restart (and it was also good of you to be quite forgiving so as to not issue a game over in such scenarios). The way I first met the swindling captain (that was or was not the same as the figure near that exit from town?) seemed random and led me to wonder if I missed something in the town. Unless I am mistaken, certain location-defined actions seemed to require using the action button after moving to that location in a certain form. For example, on a planting hole, I could not simply mutate to the Fangroot and press the action button on the spot; it seemed I had to move to that spot as a Fangroot before pressing the action button. The bat cave would not have been so difficult had it not been for the strange exit, strange in that it did not seem to afford passage out at first, even in bat form, so only after avoiding it searching elsewhere did I try again and succeed. That twist at the fortress where we must recall the locations of the curiously important-looking crystals was understandable (I cannot blame one for wanting to test our memory), though it was my least favourite part, probably due to the crisis music which got old fast, for me at least. That was a significant motivation for me to want to end that particular quest. Otherwise, I am quite impressed with this entry! "Protey" is such a great name not only because of its meaning which is derived from Greek, but also because it is an anagram of "poetry". Was this intended? You did not miss any cure for blindness, though perhaps I should have had something there for that. Though you must admit, curing blindness with eyedrops or something on the job would be a bit unrealistic. I thought of having equippable smoke-proof goggles, but I was not sure where I should put them. At least the smoke should have a low (5%) chance of causing blindness, though I forgot to reduce the (average?) duration. I liked the graphic for the dirty dishes otherwise, but I have to agree that perhaps the background does not quite pass for a kitchen floor or wall when set against the battle background. Maybe I should replace it with a dirty car. Did you have a thought to finish in your second bullet point under "Cons"? I believe Minerva can give you multiple copies of her letter to Lorent, and that you can obtain multiple pieces of rye bread from Mette after an interaction that takes long enough to make one question its worth, which I thought were relatively insignificant (not game-breaking, at least). Were there other instances of this? As for that "I am your boss! Respect me!" stuff, I think that since I was writing for a kids' game I got into a child's mindset such that I wrote a bit like a kid at times, and it just sounded funny to me, so it stayed that way. And indeed akin to what you pointed out, these types could be seen as leaders despite whose questionable leadership traits the town continues to thrive, because of the dutiful civil servants holding everything together! On day 3, you have a robber to catch in a dark house where you cannot see him until stumbling upon him, hence he is actually an invisible event that does not require the action button to find. I played with the dryad, the wandering priest, the centaur, and the seraphim, the last of which would have definitely been the weakest link if not for her ability to spam Deconstruct. 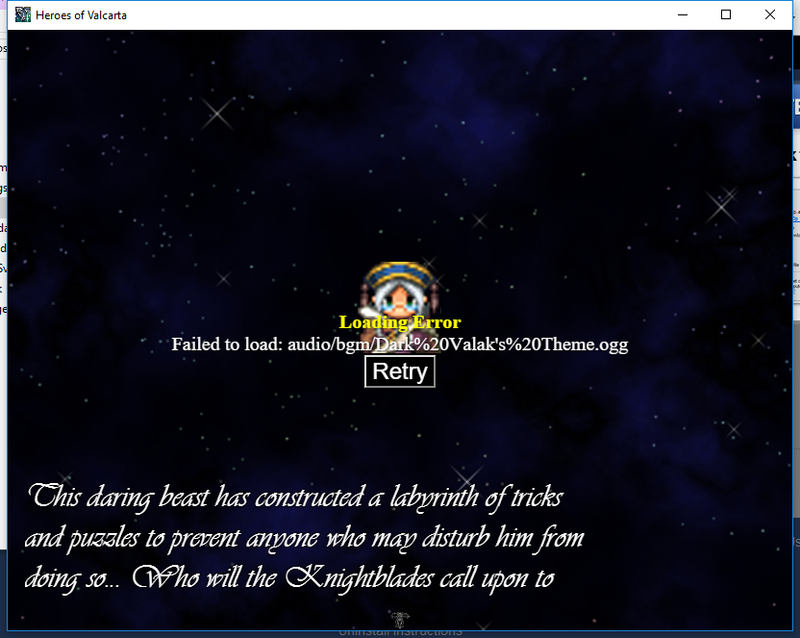 Indeed I reset the game and skipped the cutscene, which is how I figured out the problem. OK, I must admit it was not entirely true when I said I did not understand the scoring. I did, at least mechanically, but my problem with it was that it was not a motivating factor me. Sorry if I misspoke (and I know I misspoke, so there). Somehow I never did make the connection between the bottom meter and the attack it supposedly telegraphed. Indeed it would be tedious to incorporate layers of strategy given the basic concept. Maybe this is a masterpiece for speedrunners in the making, but it must be said that I am definitely not representative of that market. The dictionary is found early in day 4. Sorry if the purpose of the dark house was unclear. The event was actually invisible, so one simply needed to move around the house until stumbling upon the thief, no action button required. The invisible thief (because it is dark) is set to move around the middle of the house randomly but slowly. So it should not have been broken by any means. FUTURE PLAYERS, PLEASE TAKE THIS INTO ACCOUNT! And if you, Rubescen, happen to have retained the game in your downloads after playing, maybe you would like to try that part again with this in mind? Again, really sorry about that. The third robber to catch, if you choose to pursue this side quest, actually works exactly the same way. Now I do remember without looking what that Finnish text probably was. It was just Minerva telling you not to go into her room, so you missed nothing from that. I should have translated that, in any case. 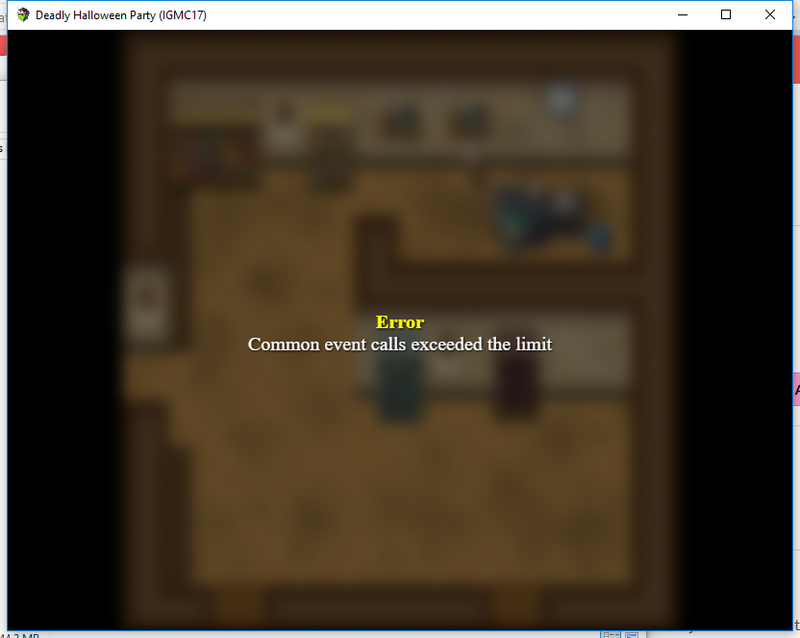 I was trying to economise space and events given my RPG Maker platform, so some houses do share the same map, and I was limited in what events I could put in the cities to give more life. I also found out very late in the process that one can change the colours of the screen to make it look like night, so I probably should have just taken out those "night" counterparts. I do hope someone at least makes it through the whole game in order to review all seven days of it! Now I admit I am concerned about that. But thank you very much for what you could provide thus far! Oh boy... where do I even begin? ... would not have gone amiss. Now? Too late!). Experiencing this already generated ill will toward this game on my part which I really tried to overcome in order to review this objectively. With that out of the way, I appreciate trying an unusual font, but in certain contexts it was just overpowering and illegible. This feeds into the notion that at best, this whole game was style over substance, and at worst, an ill-conceived unenjoyable mish-mash of gaming elements done, done, and done again (except for that random fire field, which I believe has not been often done before for a very good reason). There seemed to be some added intentional mechanics in the battling that I did not understand, nor did I need to, other than to satisfy my most pressing question "Why isn't he dead, yet?" during the first boss; I was looking at the wrong meter. And the other meter is there because...? Also, what incentive have we to hold back on our strongest attacks, without need to conserve any points for anything? Where is the utility for the weaker attacks? For the "escape" function (where we fight nothing but boss after boss)? The Guardian Force skills (or something like that. You know, with the Deconstruct, Nurture, and Serenity options?) on the other hand got loads of utility for their value in expediting the battles (or for being the only means of keeping health up to max). At the end, I got a 416/10000 and an F ranking for some reason. Why? How should I know? Try again? I will live, but thank you anyway. I am not motivated to spend another hour on that. How would one be expected to improve it, anyway? Through a different character selection, where we have to read through so many stats of an overwhelming selection in that scarcely legible font? It looks like a lot of effort went into it, though. Could you explain this? I was going to try another password when this appeared. I was pleased to play this action RPG. I did not have a game controller, but I managed well enough with my keyboard. On the control configuration, it mentions a "dash" function for its assigned key, but it seemed to make no difference. Is there or isn't there "dash" functionality outside of the speed power-up? Running into an enemy's prolonged death animation/reskin seems to increase likelihood of drops, at least at the beginning. Was this intended? I liked the enemy variety, including the bosses. I liked that the fire attacks from the final boss actually razed the surrounding trees (and walking through those fires did not hurt one bit). Some prior explanation about the health and money meters would not have gone amiss, nor would a more exact definition of the "holy" attack discussed in the shop items (Was it the star attack or just Eremiel's generic attack? It seems to be the latter). This is quite forgivable, though. Sometimes entering doors can cause Eremiel to glitch onto the periphery of the area. At the shop it was OK since I was able to make contact with the door to exit and re-enter, but I had to fight the penultimate boss (I cannot remember that creature's name) twice since the garden literally locked me out of its boundary upon exiting the yellow door. For some reason, only on the garden map did I notice Zepar's dialogue mislabeled as Eremiel's several times. Perhaps the biggest problem was the initial loading, which took well over a minute just to get to the title screen. Even opening it a day after first playing was quite slow. The oil painting effect looks great so long as it does not look like an effect overlayed on what was obviously a plain picture to start with. Nice gameplay that required rhythm to negotiate the final three-trap puzzle. Quite simply firefighters doing their job in a very child-friendly game. A fun way to learn about fire prevention and safety!